Whether it’s an outdoorsy lunch or a night out with your girls, One Society has the perfect (and affordable) dresses for the summer season. 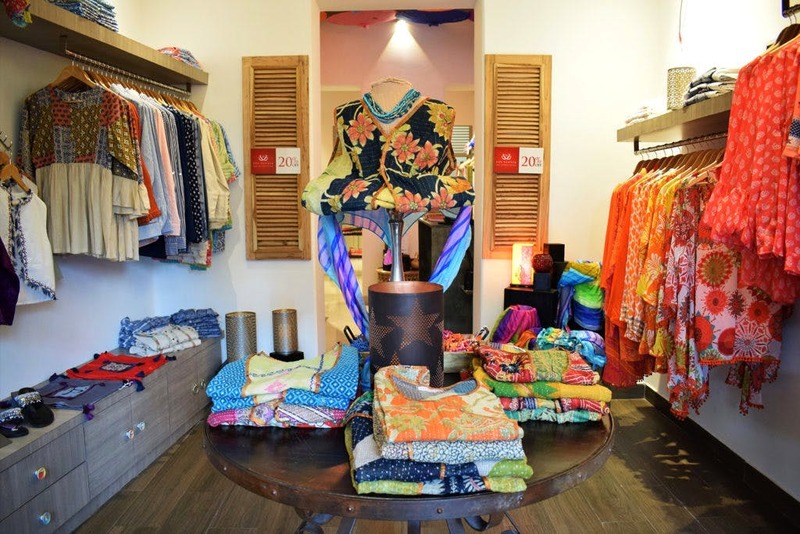 One Society is a charming and colourful store tucked away on Purna Das Road, close to the Wanderwall cafe. They stock a range of flowy maxi dresses to trendy shirt dresses, shrugs and much more. Looking for something comfy for your feet? Look for their pretty sandals in different colours and designs. And do pick up one of the light stoles and pretty scarves that act as a shield from the harsh sun. The rather unusual name of the brand comes from the idea that fashion has the ability to break all boundaries. No matter which age group you belong to, once you visit this store, you are sure to find something for yourself. Established in December, 2017, the brand is the brainchild of Anuradha Basu Agarwal, who aims to create and empower women leaders in the artisan communities. Their summer line is flexible and lets you dress up or down depending on the occasion. Plus, the clothes are affordable and come in almost all sizes. So stock up for the hot days ahead!